There are a select few authors where, whenever I see their name associated with anything, I simply must investigate their connection to it. Dutch writer Herman Koch is one such author for me. When I saw his fantastic praise quote for German crime novel FEAR by Dirk Kurbjuweit (on sale this week - 10/3/17), I knew right away this was a book I had to read—and I am so glad that I listened to that instinct. FEAR is razor-sharp, psychologically astute crime fiction. It’s a spellbinding story that takes readers into the mind of a supremely “ordinary” man whose life - and views - are turned inside out when his downstairs neighbor begins harassing his family and accusing him and his wife of horrible crimes. With the police unable to help his family, the main character of FEAR grapples with a desire to deliver his own form of vigilante justice in order to protect his family—but in the process, he must weigh this desire against his long-held beliefs in civility and the rule of law. FEAR is the kind of quietly unsettling novel that gets under your skin slowly but surely. It challenges its readers, bringing them into the journey of a character whose decisions are at best misguided and at worst illegal and immoral, while at the same time also putting the reader in the contradictory position of rooting for and empathizing with this character. 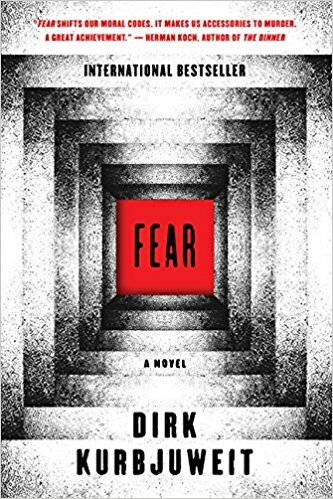 Thanks to Kurbjuweit’s US publisher, I had the opportunity to ask a few of my most pressing questions of the author of FEAR, which will surely be one of the smartest and most unsettling books I’ll read this year. 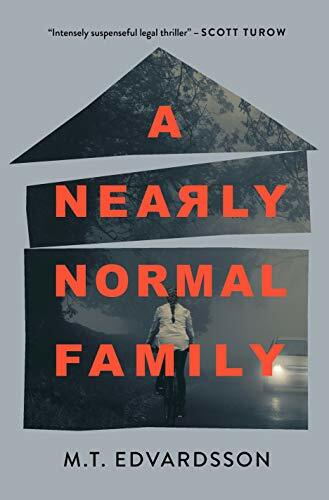 FEAR is taut, smart, and biting; much like Koch’s work, it presents the dark side of ordinary people, and explores just how far an "everyman" will push the limits of civility in order to protect his family. Many thanks to Dirk Kurbjuweit for answering my questions, and to his publisher for facilitating this Q&A! "I had always believed my father capable of a massacre. Whenever I heard on the news that there had been a killing spree, I would hold my breath, unable to relax until it was clear that it couldn't have been him." As Randolph plumbs the depths of his own uncertainty surrounding the murder—pondering fundamental questions about masculinity, violence, and the rule of law—his reliability is slowly but irrevocably called into doubt. The result is an unsettling meditation on middle-class privilege and "civilized life" that builds to a shocking conclusion. Crime by the Book: If you had to identify one central theme that you hope readers connect with in FEAR, what would that theme be? Dirk Kurbjuweit: For me, one of the great deals of civilization is that the citizens relinquish violence, and the state will help them when they are threatened by others. But what happens when the state fails to deliver its part of the deal? What can a deeply civilized man do to protect his family? CBTB: The plot of FEAR is closely tied to a disturbing personal experience you had. Could you share a bit about this experience with us? DK: About 15 years ago my family and I moved into a flat in the suburbs of Berlin. At first the tenant in the basement was very friendly, then he became friendlier and friendlier until he was a stalker, who threatened and harassed my family. The police could not help us because there is a gap in the rule of law concerning stalkers. We had to help ourselves. These were eight months of hell. Note: Read the piece Kurbjuweit wrote for the Guardian here. CBTB: After reading about your personal experience in the Guardian, I immediately wondered: how much of your own feelings did you inject into your story’s main character, Randolph? How closely tied is Randolph’s experience with your own? DK: As I wrote in the Guardian, Roland Tiefenthaler is not me but one of me. I feel very close to him but not in every aspect of his thoughts. He roughly thinks what I think and the other way around. The ways he grew up, I also grew up. His solution in the book was not my solution, but I have to admit that this solution came across my mind in some of my most desperate moments. CBTB: Following your own family’s ordeal, have you found that your perspective on “civility” is as changed in real life as it is for Randolph and his family in FEAR? DK: I've always been a strong supporter of the rule of law and I still am. Self-justice is not a solution. But these convictions were challenged in the days of the ordeal. I am very glad that I did not give in to my worst thoughts during these days. CBTB: Despite seeming clear-cut from the outset, FEAR includes a number of genuinely shocking and unnerving reveals late in the story, which fundamentally alter the reader’s understanding of the book. Without spoiling the content of these reveals, I’d love to hear about your writing process setting up these twists. Did you know that you would include them from the outset, or did they develop while you wrote? DK: The main twist in the story occurred to me when I thought that the book was finished. When I pondered about it while I was walking around a lake in Berlin, I thought that it would be cowardly and dishonest to let it end in the way in which it stood at the time. And so I rewrote the ending and other parts of the book. CBTB: If you could describe your novel in three adjectives, which would you choose? DK: Honest. Disturbing (at least for myself). Universal. CBTB: FEAR is your first novel to be published in English, but you’ve previously written a number of novels in German. Is FEAR a departure from your previous work, or are there common themes and topics that run throughout? DK: The other books are not so close to my own life. What connects most of them is the inner struggle between civilization and barbarism in a modern man and the topic of marriage and its challenges (Fear is a book about marriage as well). CBTB: When you’re not writing, what kind of books do you enjoy reading? DK: I always read one non-fiction and one fiction book at the same time. In non-fiction I mostly read books about history and politics. Some of my favorite authors in non-fiction are Antonio Lobo Antunes, Don DeLillo, Per Olov Enquist and Herta Müller. CBTB: What was the latest book you read that you loved? DK: I was on a reading tour in Australia in September, and there I read Washington: A Life by Ron Chernov. This is one of the best non-fiction books I've ever read. Thank you to Dirk Kurbjuweit for answering my questions about FEAR! FEAR is on sale now from Harper.